Flaherty, G., Maguire, C., Collins, S. (2019). Objective Structured Knowledge Exchange: A Novel Instructional Approach in Travel Medicine Education. International Journal of Travel Medicine and Global Health, (), -. Gerard Thomas Flaherty; Conor Maguire; Simon Collins. "Objective Structured Knowledge Exchange: A Novel Instructional Approach in Travel Medicine Education". 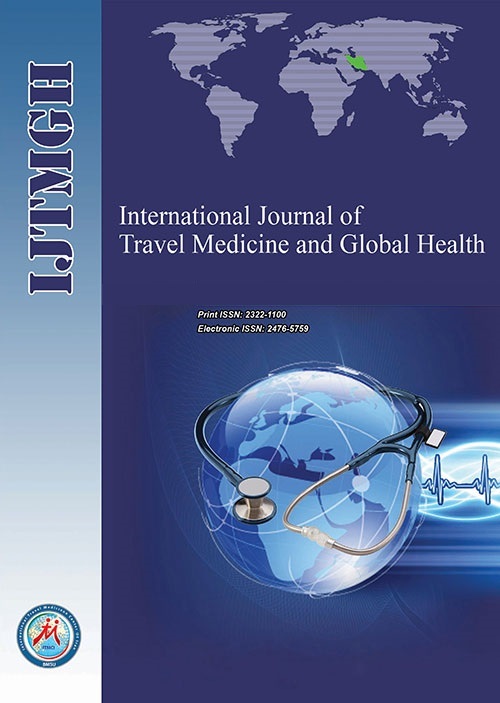 International Journal of Travel Medicine and Global Health, , , 2019, -. Flaherty, G., Maguire, C., Collins, S. (2019). 'Objective Structured Knowledge Exchange: A Novel Instructional Approach in Travel Medicine Education', International Journal of Travel Medicine and Global Health, (), pp. -. Flaherty, G., Maguire, C., Collins, S. Objective Structured Knowledge Exchange: A Novel Instructional Approach in Travel Medicine Education. International Journal of Travel Medicine and Global Health, 2019; (): -. Travel medicine education should meet the learning needs of its target audience of travel medicine clinicians in practice and healthcare students.1 We are current or past presidents of the Travel Medicine Society of Ireland (TMSI). The TMSI was established in 1995, making it one of the longest standing national travel medicine professional societies. As one of 12 partner associations which collaborate in organizing the biennial Northern European Conference on Travel Medicine (NECTM), TMSI is actively involved in the provision of continuing professional development opportunities to practicing travel medicine physicians, nurses, and pharmacists. Thong Zi Yi C, Browne R, Flaherty G. The missing link: introducing travel medicine into the undergraduate medical curriculum. J Travel Med. 2016;23(5). doi:10.1093/jtm/taw038. Flaherty GT, Lim Yap K. Bibliometric analysis and curriculum mapping of travel medicine research. J Travel Med. 2017;24(5):tax024. doi:10.1093/jtm/tax024. Long IJ, Flaherty GT. Traumatic travels–a review of accidental death and injury in international travellers. Int J Travel Med Glob Health. 2018;6(2):48-53. doi:10.15171/ijtmgh.2018.10. Ramani S. Twelve tips to promote excellence in medical teaching. Med Teach. 2006;28(1):19-23. doi:10.1080/01421590500441786.